There are three main issues companies encounter when dealing with supply chain visibility (SCV): 1) Sharing information across links in the supply chain. 2) Interruptions in the supply chain (demand, weather-related, etc.). 3) Picking out the most useful data as a product goes from A to B. Simply waiting for blockchain to improve visibility and reporting is not a reasonable expectation for any supply chain manager. Blockchain is not a silver bullet, and there are areas that will continue to be obstacles if and when blockchain becomes more integral to processes. In fact, blockchain will continue to have limitations stemming from network size, complexity, human error, and speed. Which for some supply chains, might make it more hassle than it is worth. 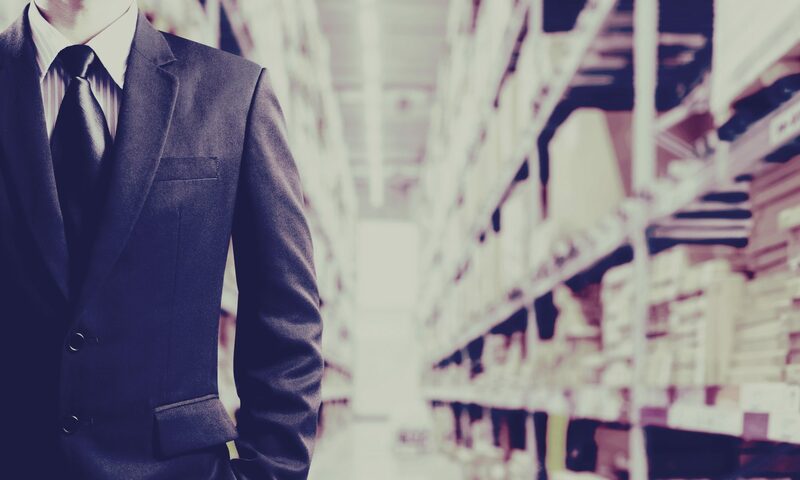 In the meantime, we have to do the best we can with what we have, and perhaps the following steps will help increase your supply chain’s visibility and put your company’s supply chain on the route to success. What does visibility mean for your company? Supply Chain Visibility (SCV) should be seen as an end-to-end network from fabrication to delivery that a company can leverage to increase brand awareness and loyalty from customers, give the organization the ability to pivot when changes are required and the foresight to identify problems on the horizon before they become major issues. Define your network from an operational standpoint. How does increased visibility support employee efforts, and how does it align with customer expectations. What does visibility mean for your customer? Customers want to pinpoint where shipments are in transit with estimated arrival times, improve communication and trust for smoother transactions, and establish a clear view of the product condition, delivery route, method, etc. In an omnichannel world, customers also want to be able to redirect shipments in real time. You as the company have to clearly define how visible and accessible your products and supply chain will be to each customer. Subscription orders may not require as much focus on visibility, whereas visibility for a custom order under a deadline becomes more intensive. Hire the right people to run the tech. Skills should allow you to max out tech capabilities and therefore maximize your ROI on tech spending. It may even be worth considering a relocation to a market where you can attract the right staff. Decide on a clear data strategy, and determine how data will be used. The right data capture method paired with management strategy can influence upsells, help you forecast customer and market activity, and identify kinks in operational processes (i.e. continuous improvement). Work with data you can trust and data that allows you to make effective decisions. Where does the data come from? Can you use data to cross-check/support assumptions and other findings? Utilizing a neutral integration platform (NIP) will allow you to scale your business up/down, horizontally and vertically, without adversely affecting the execution of a sale and delivery. NIPs should also allow you to make adjustments on the fly. Here is a list of the top eCommerce integration platforms of 2018. Partnerships are becoming more important. Especially along the supply chain. More companies are leaning on vendors and partners to provide services outside of the company’s main vertical or executing logistics. Establishing a trusted partner can create efficiencies like volume discounts and open book pricing, but it can also improve visibility and awareness. Strong partnerships become a secondary defense against issues and another pair of eyes on each transaction which improves SCV internally and externally. Previous PostPrevious 4 Drivers Behind Workplace Design You Need to Understand. Next PostNext 3 Last-Mile Trends You Should Be Excited About.